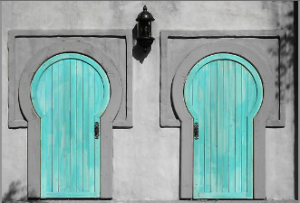 The New Year brings new choices … think of each choice or decision as two doors, and you have to choose one to step through. Choose the wrong door and it seems you have changed the course of your life forever … but, will it change for the better or worse? My son has finished high school and now has to choose from his top two college / course choices. What decision will he make? I’m not stressed for him, even though he may be – facing such seemingly life-altering choices – because I remember that I made a few – and, really important – ‘wrong’ choices in my Life’s Journey, yet here I am today. … and, if you implement just one key change in your life, you will come to see that, too. First, you need to understand that when you choose to go through Door A or Door B, as my son is now, that’s not the end! 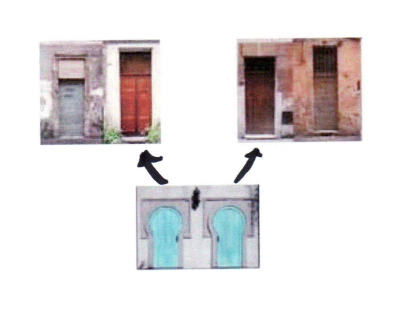 What are the correct choices to make, when presented with these two new doors? How will you know for sure? The answer lies in knowing your overarching goal: if you know your Life’s Purpose, then you will have a compass that will guide you back to the right course, even if you choose Door A, when perhaps you later realize that you should have chosen Door B. Life is really just a series of decisions and choices that we need to make – or, doors that we need to go through. 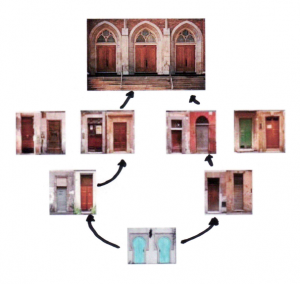 Our choices can sometimes be difficult … as a result, our decisions can seem random or less than optimal. Sometimes, we make the out and out wrong choice. But, when you have the compass that is your Life’s Purpose, then it will guide you back to the correct path through later and later choices. … but, it will be close enough. For example, I now know that no matter what path I would have taken, I would ultimately be sitting here and writing this blog post for you. Simple. Because I would not have stopped choosing doors until I got here! So, I’m not sweating my son’s choices … neither should he. And, neither should you sweat the choices that you make this year. If you left a review on Amazon for my new book, then your personal, signed copy is on it’s way! Your Money is not your Life! Too many of us live our lives as though money was its sole purpose: we work more than 1/3 of our life away; we constantly argue with our spouses about it; and, we spend much of the remaining time simply worrying about it. I haven’t been immune; this was me until a critical date in 1998, when I discovered my life’s true purpose. Without getting all New Age’y on you, I’ll give you a hint: it had nothing to do with money. My Life’s Purpose was all about how I really wanted to live. … but, only as a means to an end. My first book (co-written with Debbie Dragon) shows you how to separate your money from your life; but, it doesn’t shy away from the subject of money. Because, as I discovered, money is the key enabler of a fulfilling life for many of us – not all – but, certainly for me. So, the real purpose of my book is to help you find out how much money you need in order to be happy. Simple! 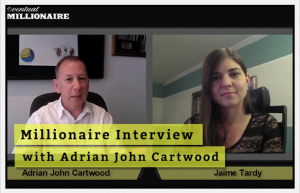 And, if you can, leave a comment to share how you think about your Life … and, your Money! … and, that’s where I found Chris Han’s personal finance chart (to the left). 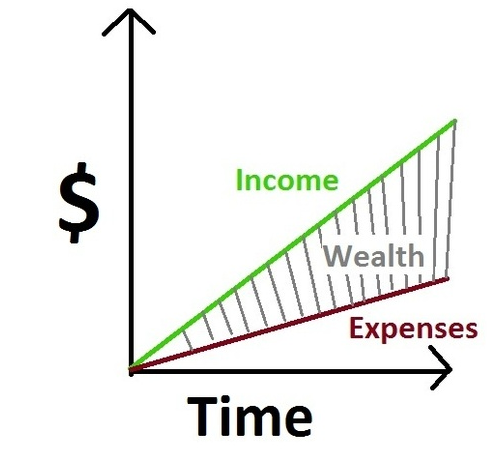 Wealth is the shaded area in the diagram. You can increase the shaded area by increasing the slope of the green line, or by decreasing the slope of the red line. Decreasing the slope of the red line becomes significantly harder over time as you grow accustomed to your lifestyle. 4. Notice that it is easier to grow Wealth dramatically by increasing the slope of the green Income line than it is to decrease the slope of the red Expense line. 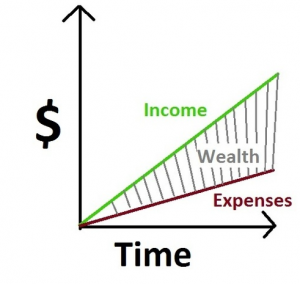 Regular personal finance will tell you to concentrate on the red (expense) line. Decreased expenses allow you to save more, and time allows the full effect of compounding. Voila! 40 years to fortune! First of all, you give up too many of life’s little pleasures now for little-to-no-reward later (if you can’t afford the lattes now, you sure won’t be able to in retirement). Next, you have to wait – hence work – for far too long. – Not increasing your lifestyle (hence expenses) as your income increases. It is this combination – increased/reinvested Income and controlled/slow-growth Expenses – that can quickly create a huge wedge of Wealth. This is a very useful chart … you will do well to remember it. Note how the philosopher, Alan Watts, suggests that if you do what you love, the money will follow!